All is well once again in Australian cricket, after the men wearing the baggy green thumped Sri Lanka at the Gabba inside three days. 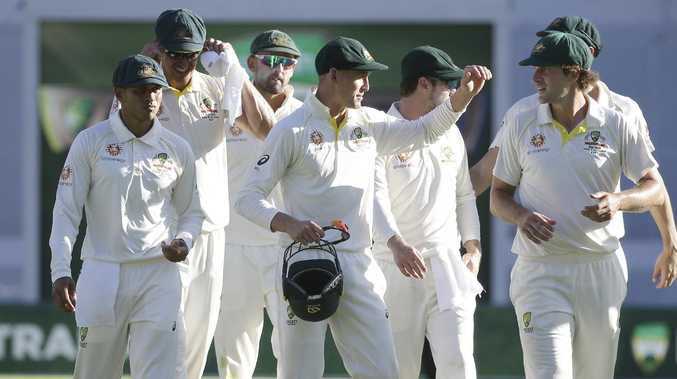 After suffering their maiden home series loss to India earlier this month, tensions within Australian cricket had reached boiling point. But despite Brisbane enduring a heat wave, Tim Paine's men relieved the pressure with a resounding innings and 40-run victory to take a 1-0 series lead ahead of next week's second and final Test at Manuka Oval. So what does the victory mean in the overall scheme and will there be any changes for the second Test? WHERE HAS MITCHELL STARC'S SPARK GONE? He’s the newest member of the 200 club, but the future of Australia’s strike bowler Mitchell Starc remains in question. He's the newest member of the 200 club, but the future of Australia's strike bowler remains in question. Starc took 13 wickets during the four-Test series against India but seldom did he look right. All summer he's struggled to swing and control the ball and those problems continued in the first Test against Sri Lanka. Nor can the excuse that Starc needs to bowl more now be used either, as was the suggestion earlier in the summer after having minimal preparation leading into the first Test against India back in December. As debutant Jhye Richardson and Pat Cummins regularly put the ball on a dime and got the ball to move off the seam in Brisbane, Paine was regularly diving to his left and right off Starc as the left-armer sent balls widely down the leg side. Former Australian fast bowler Brett Lee was one of a number of past players who commented on Starc's struggles. 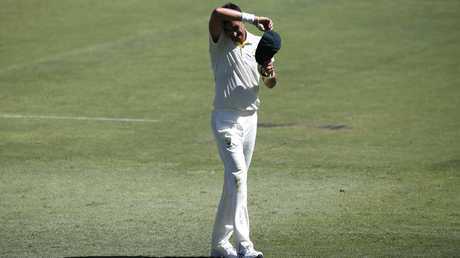 "I just think there's something going on (with Starc)," former Australian quick Brett Lee said in commentary for Fox Cricket during the Test. "There's nothing wrong with his pace. So his pace is good, but … he doesn't normally spray the ball like the way he has sprayed the ball today." Should he remain fit, Starc remains a certainty for the Ashes. But Australia's selectors will be eager to see him return to form soon because the spark has suddenly gone. Will Pucovski’s exclusion for the first Test caught everyone by surprise. Will Pucovski was the shock omission for the Gabba Test. His exclusion for the first Test caught everyone by surprise, having been included in the 13-man squad before that number was increased to 14 on the eve of the match following Kurtis Patterson's twin centuries in the lead up tour game. Test greats Shane Warne and Michael Vaughan were two that questioned the decision to leave him out and labelled it a missed opportunity. But the debate over whether he should have played has taken a twist as the 20-year-old won't be eligible to play County Cricket in England ahead of the Ashes unless he makes his debut for Australia in the next Test, thereby robbing him some valuable experience and exposure to English conditions. No doubt Pucovski is a player of the future. The question Australia's selectors must ask themselves is whether they genuinely think he is good enough to play in the Ashes - the next Test series. If he is not, he shouldn't play because it would mean dropping a batsman from an already fluid batting line up desperately needing some confidence and solidity. It's shaping that Pucovski will have to bide his time. WHO IS UNDER THE MOST PRESSURE AHEAD OF THE SECOND TEST? 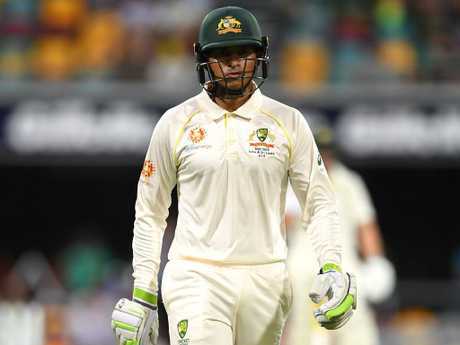 Usman Khawaja is having his leanest summer at a time when he was needed to stand up most. Starc, Usman Khawaja, Joe Burns … the list could go on and on. Even Marcus Harris, who has been regularly among the runs this summer, needs to score a century because starts rarely win you Test matches. 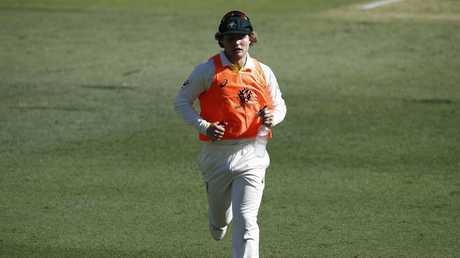 Marnus Labuschagne and Travis Head, too, would be eager to post another score of substance to firm their positions in the spot ahead of the Ashes, particularly with David Warner and Steve Smith to be eligible for selection for the next series. More than being under pressure Starc would desperately like to see the ball begin to swing. But it is Burns and Khawaja most under pressure. Burns because he's playing his second Test in as many years and needs a big score to remind selectors he's of Test quality; Khawaja because he's having his leanest summer at a time when he was needed to stand up most. Khawaja will tour England. But the clock is ticking on the classy batsman. WHAT DOES RICHARDSON'S EMERGENCE MEAN? 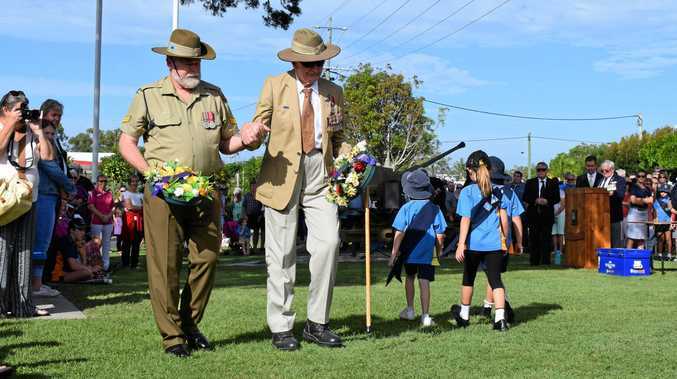 Jhye Richardson’s entrance will put the heat on Australia’s usual trio of fast bowlers Cummins, Starc and the injured Josh Hazlewood. After taking 3-26 on Test debut Richardson fronted the media after completing a memorable introduction. The 22-year-old was asked how Peter Siddle responded to be looked over for him. In typical Siddle class, the veteran Australian quick had wished Richardson well and told him he was ready for Test cricket. They were words that meant plenty to Richardson and gave him the confidence to go out and succeed. But Richardson's marvellous introduction to Test cricket, where he finished with match figures of 5-45, could mean Siddle's Test days are numbered. The youngster's impressive entrance will also put the heat on Australia's usual trio of fast bowlers Cummins, Starc and the injured Josh Hazlewood. WHAT DOES BEATING SRI LANKA REALLY MEAN? You can never scoff at Test victories, particularly when the opposition currently holds the Warne-Muralitharan Trophy. But the innings and 40-run victory over Sri Lanka has to be put in context. While the tourists' fast bowling attack is one of the better that they've brought Down Under, it's one of the weakest Sri Lankan sides to tour Australia. So what do the runs scored and wickets taken mean ahead of the Ashes? Will they prove to do Australia an injustice or are some of the players that succeeded the real deal? Harris looked good, again, as he has all summer, but somehow got himself out on 44. Sooner rather than later selectors will want him to convert one of his starts into a century. Labuschagne and Head both made runs, but neither made a century. The former, in particular, looked compact and appears to have a technique that will hold up in all conditions. While his temperament and willingness to leave the ball was equally impressive. Head, meanwhile, continues to give the bowlers a sniff. He flashes outside the off-stump often and needs to work on his all-round game. But he's hungry and willing. Cummins is a proven performer and continues to get better and better. His rhythm is excellent and he'll be a handful in English conditions. Richardson, too, appears to have the action to succeed England also. He runs through the crease, keeps the seam straight and swings the ball at a good clip.